Panelists in the 3rd Panel of the day, Mr Victor Mwangu the Chief Statistician in the County Government of Kitui, Mr Douglas Njiraini the Director of ICT in the County Government of Kiambu and Ms Sulekha Adan the Chief Officer ICT in the County Government of Mandera. The first National Forum on Harnessing the Data Revolution for Sustainable Development, or “Data Forum” as it has come to be known, was held at the Laico Regency Hotel, Nairobi, Kenya on 28th and 29th August, 2015. The inaugural event was opened by H.E. Hon. William S Ruto, Deputy President of the Republic of Kenya in the presence of the Cabinet Secretary for Environment Ms Judy Wakhungu, the Principal Secretary of the National Treasury Mr Kamau Thuge, the Governor of the County of Kakamega Hon William Oparanya among other local and international dignitaries. With more than 400 participants on both days, the Data Forum marked the beginning as well as the culmination of a journey to convene multi-stakeholder data communities in 8 core areas along the principles envisioned in the Africa Data Consensus. Since the Data Forum in August, a number of the data communities have continued to meet and work towards the goals they set. Some have had more success than others. 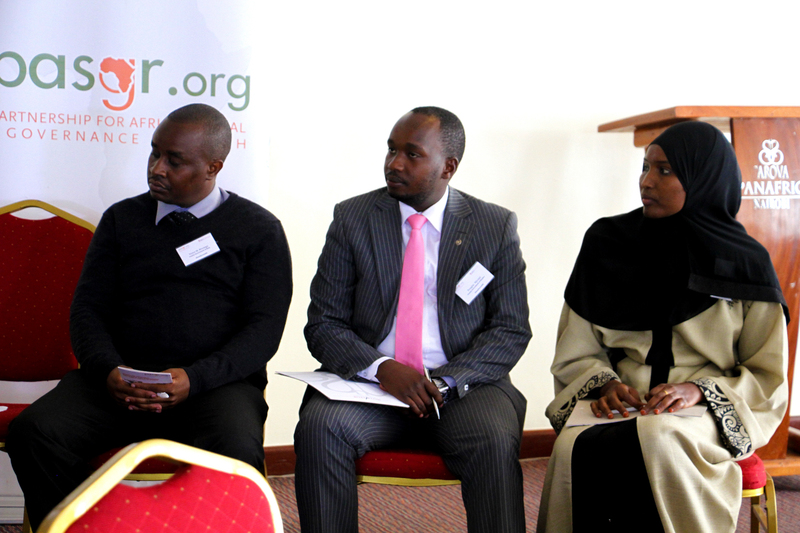 Five months down the line and with some progress made by these data communities, the Partnership for African Social & Governance Research (PASGR) and Local Development Research Institute (LDRI) convened a 1 day Follow-up Meeting to the Data Forum held on 27th January, 2016 in Nairobi, Kenya. Titled “Stakeholders working together for a data revolution in Kenya”, this meeting discussed the state of the data ecosystem and how non-state actors can collaborate with the national and sub-national governments to make the data revolution a reality in Kenya. A second half-day meeting was held with county government representatives on 28th January, 2016. The meeting was opened by LDRI’s Executive Director, Muchiri Nyaggah with opening remarks delivered by Ford Foundation’s Rosemary Okello-Orlale whose speech was read on her behalf, and Mr. George Nengo from the Parliamentary Affairs office in the Office of the Deputy President. Prof Tade Aina, Executive Director of Partnership for African Social and Governance Research made the opening address after which the meeting transitioned to panel discussions in plenary. Panel One: Experiences of the data communities and what was catalysed in the run up to the Data Forum. Panel Three: How county governments can obtain value from the data communities approach, what their greatest data needs are and what counties can do to make multi-stakeholder collaboration more effective. Expressed at the forum is the need to move towards action from “we need to do” to “we are doing”. Identifying clear entry points for data communities at the sub-national level and possible strategies for catalysing their formation. Highlighted by a speaker at the forum is the need to move away from the data infrastructure (tools, gadgets) to the data ecosystem as it is the eco-system of multiple stakeholders and not the tools that will move the Data Revolution forward. The Data eco-systems have long been considered ‘techie domains’ whose role is to innovate. A ground-up approach is changing this with the user now at the centre. The ongoing development of a National Data Quality Framework by the Kenya National Bureau of Statistics was highlighted as a step in the right direction as it will allow non-official data to be certified as “official” and quoted in official sources. This mechanism for ‘credentialing’ non-government data is one of the elements in the data ecosystem identified as a priority in the proposed Africa Data Consensus. 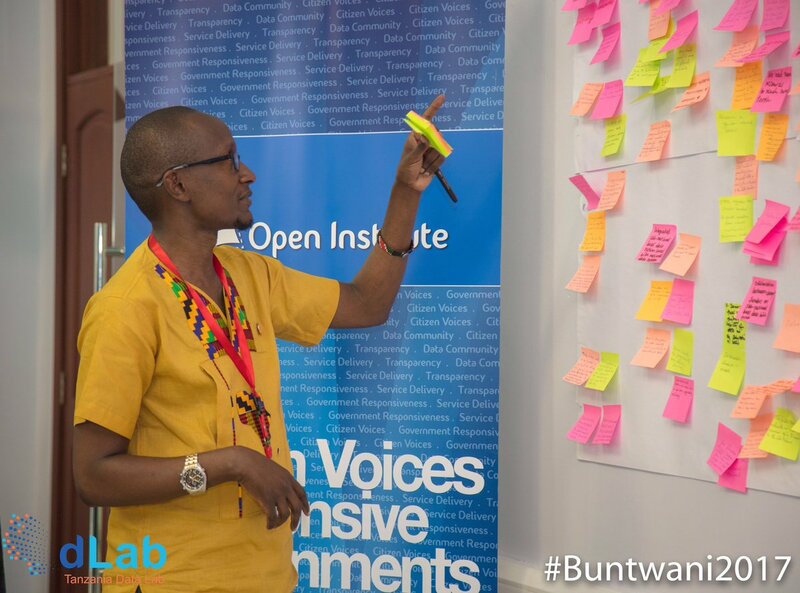 The inclusion of county governments in the data revolution discussion allowed participants to have a clearer understanding of the context within which the data revolution is unfolding within the counties, the constraints that exist and where efforts should be focused. Apparent was the different pace at which counties were moving towards domestication of the data revolution .Some were making great strides that includes establishing statistics office to enable the county government have credible statistics for use in decision making and policy formulation in the county, automation of government operations with the implementation of data collection and ICT into their service delivery while some counties are still grappling with budgetary and personnel constraints. In leaving no one behind, suggestions were made to foster inter-county partnerships, the urgent need for capacity building on demystifying data and the data revolution, identifying a minimum threshold of data at the county level, the need to consolidate historical administrative data, harmonization of different sources of data and a push for ICT/Data related pieces of legislation so that initiatives made have a legal backing. This session provided the foundation for a closed session on the second day with representatives from county governments on whether, in their view, data communities present their counties with opportunities for progress.